I remember a time when ‘extra murals’ meant reading a novel, taking a mosaic class, a trip to the beautician or hair salon, or spending time decorating wooden words to fill the bare walls in my home. Extra mural wasn’t a term I was even familiar with- what I was doing didn’t even have a name! It was just time …that I actually had for myself! Oh how things have changed! Is it just me … or are extra murals for children overwhelming? Today is possibly the busiest day of the week for me… with multiple trips to school to drop off and collect children (at different times), feed, take one to Archery, collect both at 3pm. Feed (again!) and drop off at Madressah, collect at 5pm and somehow survive until 7-30pm. It’s a lot! And the choices when it comes to after school activities are endless! How do I choose? And is it even necessary at all for my children to partake in additional activities. There is Drama, Hip Hop, Karate, Horse riding, Archery, Mini Rugby, Moov to Moov, Action Ball and swimming …. All taking place after school. I mean, don’t get me wrong, I am very grateful to have all these options available to me in our little town, and driving to these places and back fortunately doesn’t take me more than 10 minutes- but am I overloading my children? School and Madressah obviously take preference, but do I indulge them in terms of wanting to be involved in extra murals? Would I be unjustified in saying no for extra murals? Is it now expected that all children will partake in some of these? I’m not sure- I just want my children to find time during the day to PLAY!! We gave Karate a go a few years ago, and had to stop due to time constraints. Isa also had to give up horse riding for the same reason. I can’t help but feel a little guilty. Hamzah has just started Archery, and I guess I’m happy to do it for as long as I can possibly manage. But all of this has really got me thinking -I have to ask myself if it really is too much for them… Am I keeping them too busy? Is there even such a thing? I came across an article about children needing to “learn how to be bored,” which I found extremely interesting. According to the Teresa Bolton who wrote the article in collaboration with The Conversation and The World Economic Forum, children already have access to books, sport classes televisions and iPads for entertainment- so what would happen if we had to just let them be bored for a while? Well let me just say that I look at boredom in a new light! And I won’t get so easily annoyed the next time they complain to me about being bored! 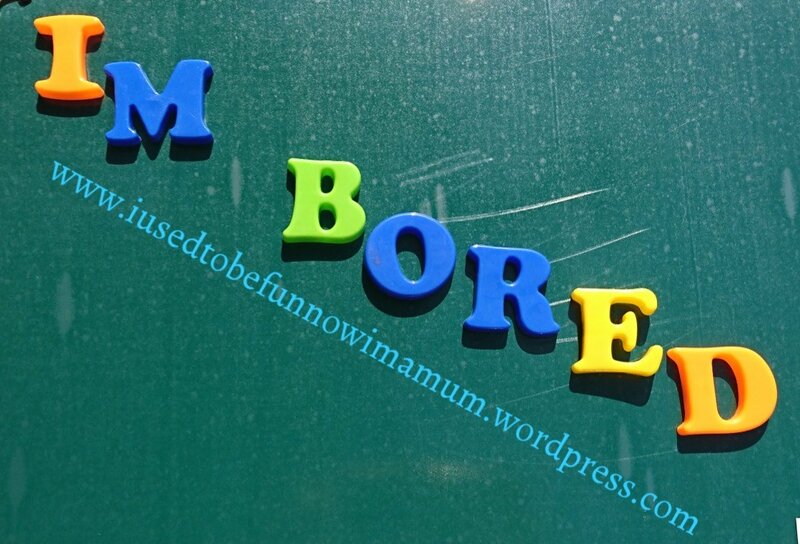 Absolutely agree about the need for boredom. It’s what sparks creativity, too. And yes, adults do need it too. Yet we just don’t let it happen – or me, at least. I think there is wisdom in not overloading them with stuff. Our oldest, when she started Grade R, quickly got fatigued with the amount of stuff she had after school all week, and we learned to just give her more space to be. Unfortunately, as she got older, the homework monster started to gobble that space up…so you can’t really win, can you?